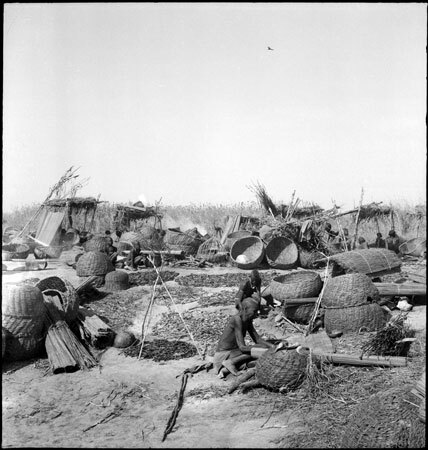 A Dinka fishing camp on the banks of the river, with large baskets and traps visible as well as sun shelters for those fishing. Morton, Chris. "Dinka fishing camp" Southern Sudan Project (in development). 03 Jan. 2006. Pitt Rivers Museum. <http://southernsudan.prm.ox.ac.uk/details/2005.51.126.1/>.